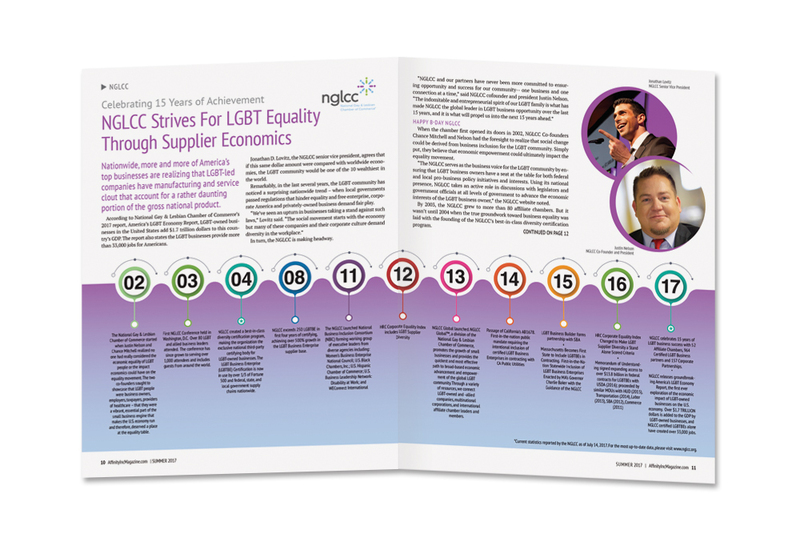 Christopher Miller served as publisher for this nationwide diversity inclusion publication. 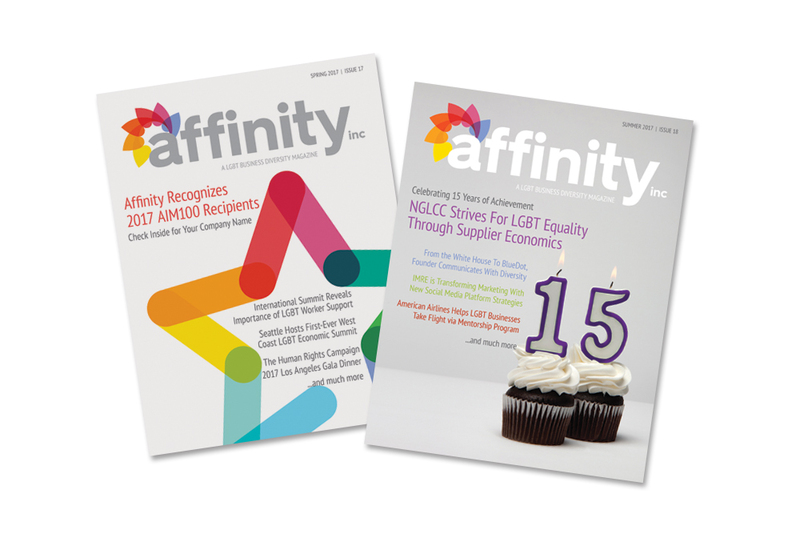 Affinity’s mission is to support and promote LGBTQ business equality in the workforce and supply chain within America’s leading corporations. Chris’ responsibilities included determining content and editorial while supervising magazine layout and website design. He was also responsible for communicating the magazine’s mission to C-suite individuals at diversity conferences yearly. 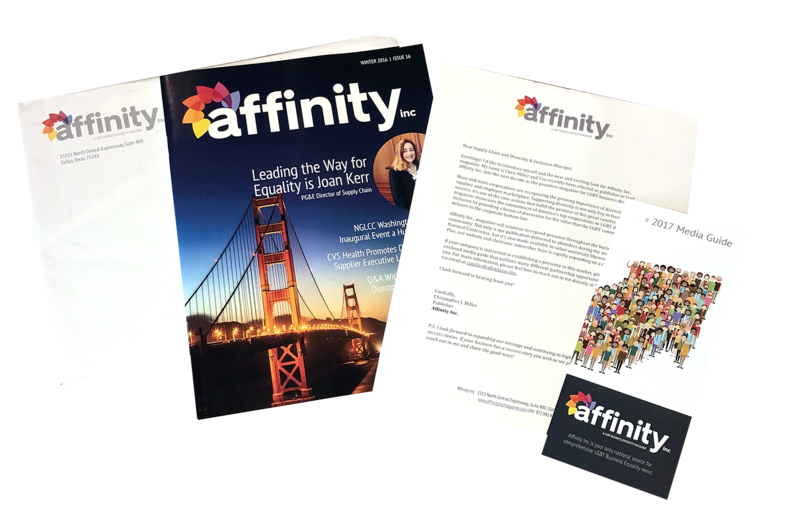 The design team at Rainmaker Advertising handled all production, printing and distribution of this quarterly print publication including digital monthly newsletter emails. Rainmaker Advertising began the marketing process for this magazine by interviewing the current advisory team, establishing current benchmarks and determining future goals for the publication. After this data was gathered, Rainmaker Advertising outlined future business goals for the magazine. The marketing strategy initiated with a total product re-brand including a new logo for the magazine. 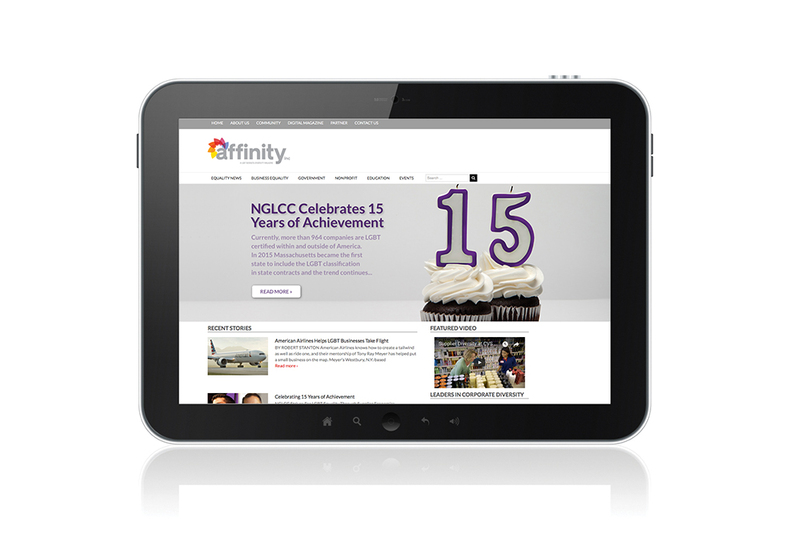 The new look was incorporated in the magazine, website and all marketing materials. Rainmaker developed a goal-oriented sales funnel that includes social media, direct mail, email and phone solicitation to gather new advertising supporters. Rainmaker Advertising managed the content selection, layout, print and distribution of the magazine while maintaining the subscription data. The magazine has a digital and print combined readership of more than 20,000.